With the recent headlines and court fights over administrator firings, common core and teacher tenure, parents are hard-pressed to find one book that can help them sift through the ‘alphabet soup’ that has evolved into the modern, American public school. 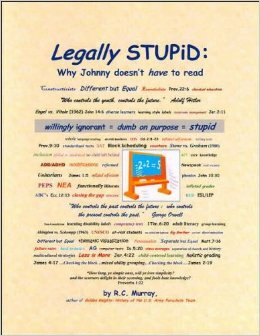 Enter R. C. Murray to the fray with: “Legally STUPiD: Why Johnny Doesn’t HAVE To Read” (312 pages, 2007, Peach-Pine Publishing). Murray, a military vet who spent time on the firing line of a high school classroom as an English teacher, eventually had to leave the classroom for health reasons. Nevertheless, the teaching profession’s loss is your gain, as you get a work that is written from an insider’s view. Murray is a Christian, an accomplished writer, and a believer in using the King James Version (KJV). This work is loaded with not only spiritual insight, but a means of pointing out where the classroom has gone wrong, from the college campus down to your local schools. Urban parents and churches will particularly enjoy Murray’s biblical and common-sense approaches to public education. “Legally STUPiD” is a great “I told you so” book. It’s best thought of as a edu-reference book; a parental primer FOR exposing the current education system’s shortcomings as well as a firm warning to those who might be considering entering the teaching profession. The Glossary alone contains 13 pages of definitions, deciphering the mysteries of ‘edu-speak’. What Marva Collins did in ‘shaking up’ the education establishment 20 years ago, Murray continues WITH a new level of shaking in this work. Furthermore, it gives the parent the keys to rate their own child’s teachers and school as to whether or not their child is being taught–or indoctrinated. Murray includes the charts, diagrams and examples of how classroom learning HAS been and how it has changed over the last 50 or so years. Some may consider some of his solutions ‘simplistic’. Some may not. However, for a parent who may have a bright child, and has been watching them ‘fall out of love’ with learning; or a child that may have been wrongly labeled as unable to learn, Murray offers a lot of wisdom and evidence as to how parents may be able to turn their child’s academic career around. “Legally STUPiD” is available at your favorite on line bookseller, or via rc.murray8@gmail.com. 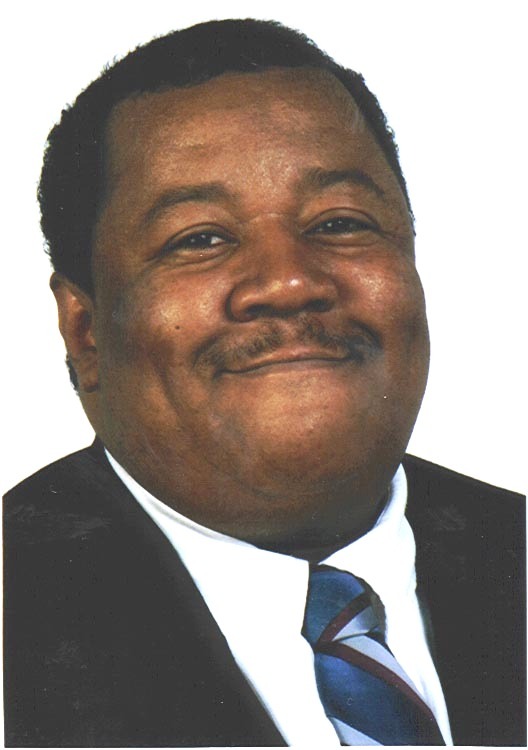 Mike Ramey is a Minister, Reviewer and Syndicated Columnist who lives in Indianapolis, Indiana. On Line Reviews brings current and lesser-known titles to public light in the quest to re-kindle a love for reading in a sea of modern technology. THE HONORABLE JAMES SPENCER: HERE COMES THE JUDGE! Hey Buddy!, I found this information for you: "ON LINE REVIEWS BY MIKE RAMEY “LEGALLY STUPiD: WHY JOHNNY DOESN’T HAVE TO READ”". Here is the website link: https://blackmeninamerica.com/on-line-reviews-by-mike-ramey-legally-stupid-why-johnny-doesnt-have-to-read/. Thank you.